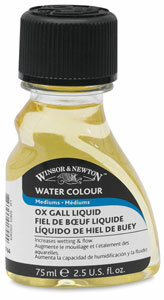 Ox Gall is a wetting agent used with watercolors. 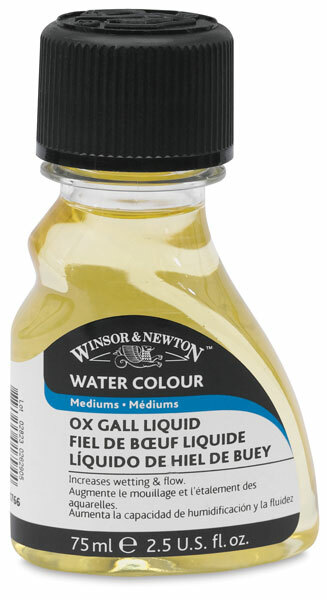 It increases the flow of washes on the painting surface. It can also be used for marbling.